I’m a laid back but organised, friendly, heart on my sleeve kind of girl, that laughs a lot, I think I’m one of the lucky ones to do something I absolutely love for a living. I live in the West Midlands, in Sutton Coldfield, with my husband, three Daughters and a daft dog called Buddy, who won’t fetch or catch anything (not even food) but his party trick is to smile. Our house is noisy, welcoming and full of the chaos that having children brings. I love to travel and although I’m based in the West Midlands I travel all over the UK and abroad for weddings. I’ve seen quite a bit of the world, when I first got together with my husband, he convinced me we should have an adventure together. I gave up my job, rented out my house and off we went around the world. After travelling and being together 24/7 for a whole 12 months, without killing each other, we knew it was the real deal, so we tied the knot in Bali, Indonesia. He’s my best friend and the person I laugh the most with. I’m forever telling myself I’m going to try and eat a bit more healthily this week. I’ll take coffee over tea, but I have to drink a cuppa as soon as I wake up, otherwise the world will end. I love Thai food and Tapas, long lazy lunches, preferably in the sunshine, anything to do with home interiors, gin and being by the sea. I’ve photographed over 200 weddings and I’m really proud to have had my work published, it’s been in magazines such as Vogue, You & Your Wedding, Perfect Wedding, Wedding Ideas, Your West Midlands Wedding and even graced a few front covers. It’s also been featured lots of times on some of the UK’s most popular wedding blogs, Rock My Wedding, Love My Dress, Boho and Whimsical Wonderland Weddings. 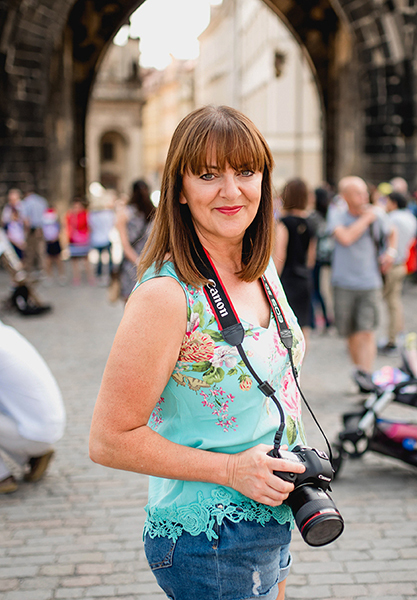 So if you’re looking for a friendly, relaxed Photographer who will fit into your day and capture all of the emotion, I’d love to hear from you. You can get in touch by filling in the contact form here or simply give me a call on 07950 482429 if you fancy a good old fashioned chat.